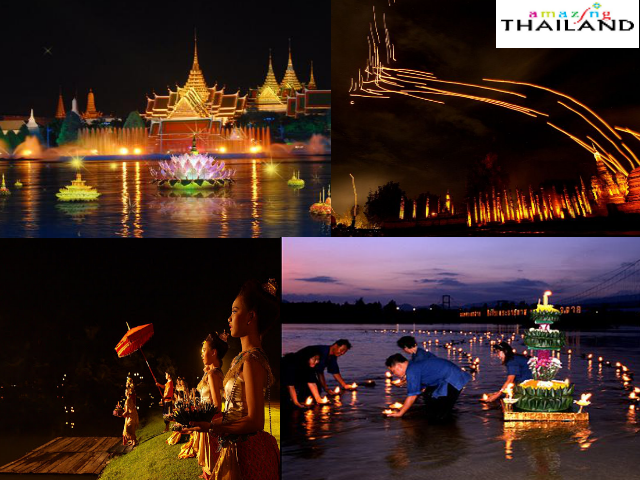 Sokhothai Loi Krathong Festival is held since middle of the eleventh to middle of the twelfth lunar month. 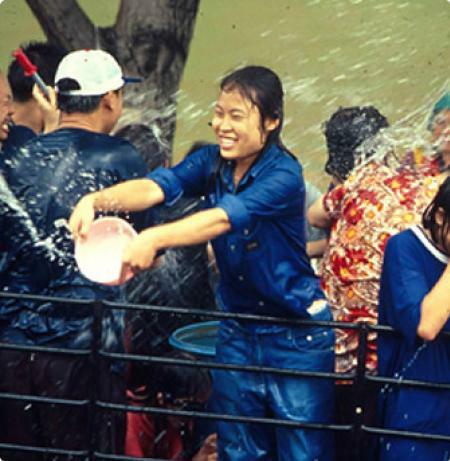 It is great flood season on the full moon night of twelfth lunar month. 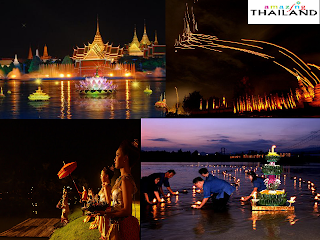 Thai people float "Krathong" on river when moon shine at night. 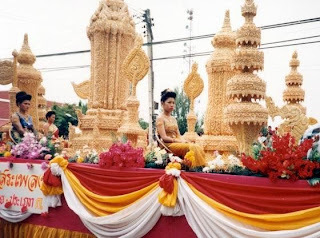 Krathong is design as Banana trunk and Lotus (in shape), Inside they add the Stick Candle and incense stick. 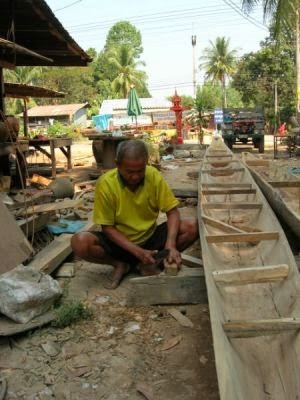 With the concern of Global Warming Thai People now using natural materials to make Krathong. 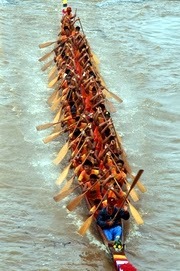 While floating the Krathong on river people wish for good luck in future and forgiveness Pra Mae Khongkha. 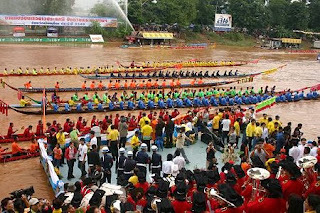 Many competition is held in Temple and community halls. 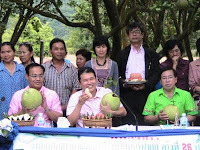 Best Krathong and Noppamas is awarded by local body. Across the globe many of tourist rush to Thailand to catch the live action of Annual Phimal Festival and Boat Race in Nakhon Ratachasima. In this festival long boat race compete in race. It is said this festival is celebrated because of reconstruction Phimai. 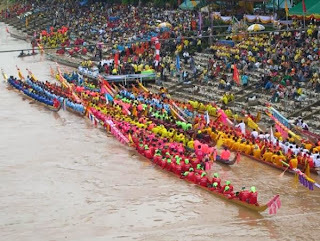 It is true Thai traditional festival where you can see the Dragon Boat, has been celebrating since last 100 years. 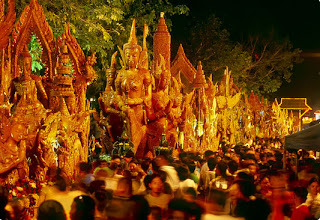 Khmer sound and traditional arts and craft are attraction of these festival. 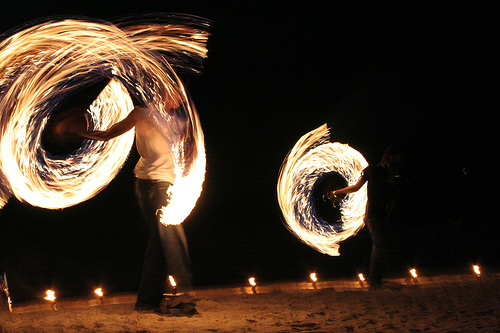 A great news to all Fullmoon Party lover that Naga Fireball Festival is now celebrating together with Fullmoon Party. This is an unusual combination of two different festival (normally not happened). 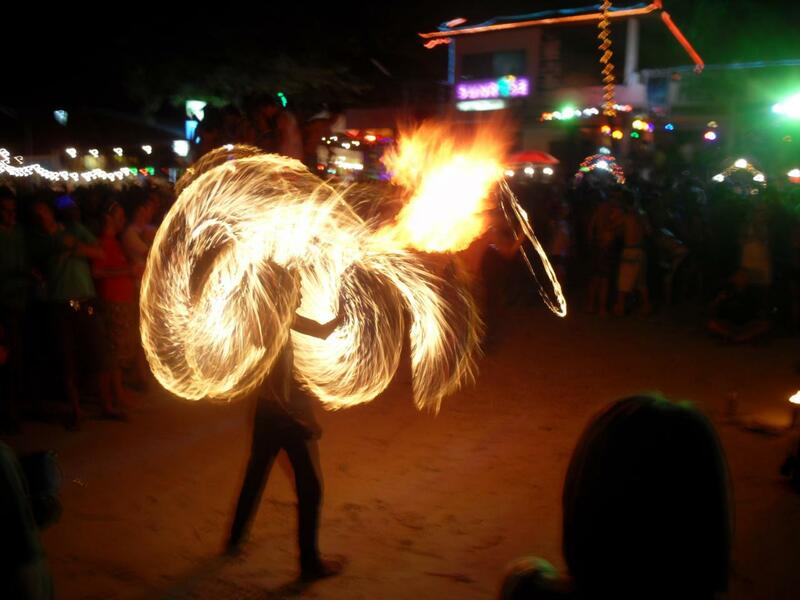 Fullmoon Party is full of energy , music and drinks & Naga Fireball Festival is totally different and celebrated in peace and calm. Those who don't about the Naga Fireball Festival than it is festival when people blow the Naga Fireballs rise it to sky. It slowly slowly it rise goes to sky and than disappear. This is wonderful experience. 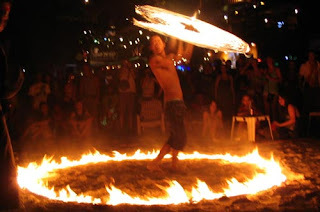 You will see the Fireball rising from rivers which delight you all times. 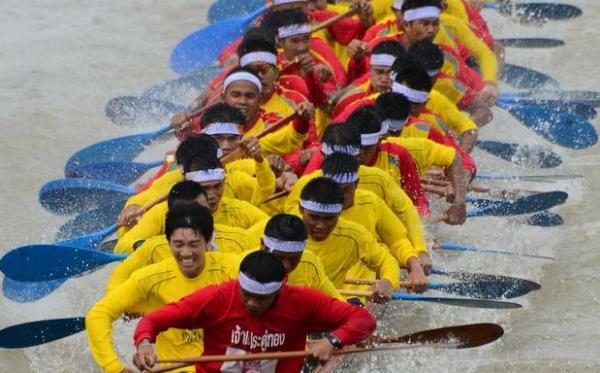 Everybody at Thailand must enjoy this odd combination of two different celebration. 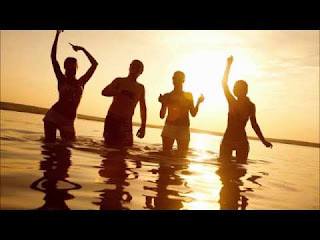 Lets keep party on all night! <3 ! 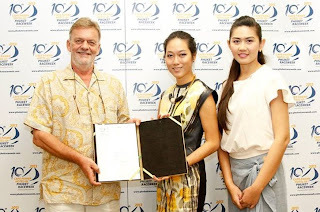 The Samui Latin and Jazz Week is musical festival starts from 29th September to 6th October 2013 is presenting a variety of artists from LATIN and JAZZ genre at Koh Samui, Thailand. This can be called as musical week as all eight days their was classic music and lime lifestyle. Their was music and shows which are giving relaxation and peace to mind. Thai Food added more spices to the festival. The venue has the wonderful Thai cuisines. 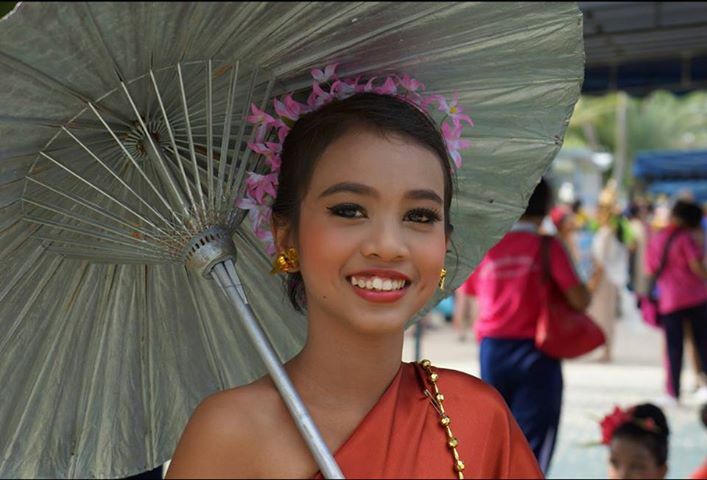 The Thai Traditional food where served with all traditional look. Peter Beets was wonderful with his newly released album ‘Portrait of Peterson’ - which win the heart of audience. Sakia Laroo, a dutch jazz musician performed 'Lady Miles Davis' with Quartet 'Jazzkia' a fusion Jazz was unique and fantastic. Their are other many artists who make the evening very mild and fantastic are Nadia Basurto and Miquel Rodriques from Spain, Judith Nijland, Dutch Land, Rolf Delfos from Netherlands, Fabio Deldongo from France, Saxophone Star Koh Mr. Saxman and Changton with Buntita. 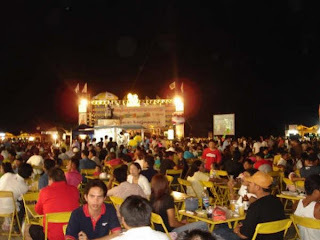 Overall the festival was the fantastic and mind-blowing. All artist where up-to mark and champion on their talent. Suggested to attained all music lovers. 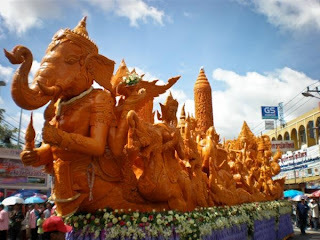 Entire August is celebrated with Nakhon Nayok Pamelo Festival in Thailand. 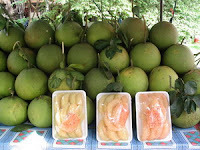 The pomelo, pummelo, pommelo, or shaddock is a crisp citrus fruit native to South and Southeast Asia. Thailand produce some of the best Pamelo in Asia. 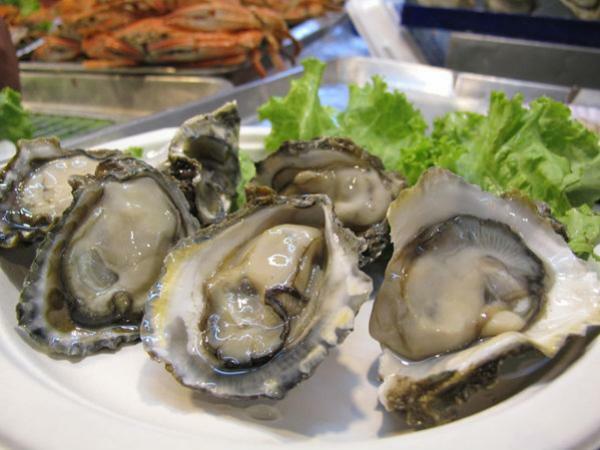 Pamelo is usually pale green to yellow when ripe, with sweet white flesh and very thick albedo. Thailand Tourism Authority is organizing the Nakhon Nayok Pamelo Festival in August to encourage the tourism in country. Pamelo is widely used for salad, juice and deserts. 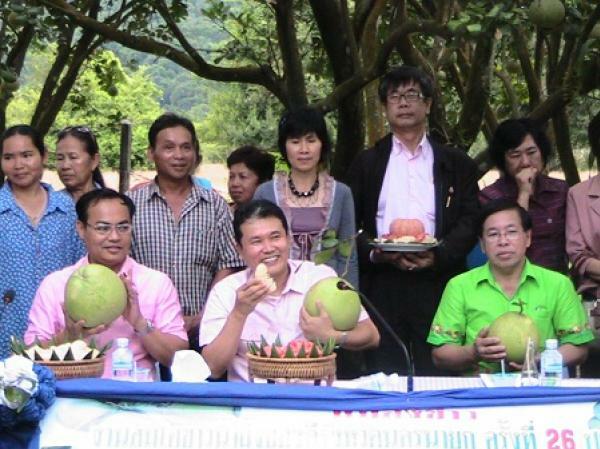 Shopping variety of pamelos such as Thongdee, Kao Namphuang, Kao Yai, and Tub Tim Siam etc. 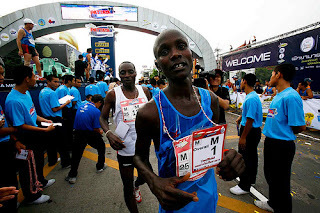 Songkhla International Glorify Marathon is organizing in memories of Birthday Anniversary of Her Majesty Queen Sirikit from 1st August to 31 August 2013. The event's moto is to maintain people's health by running exercise and keep body fit and healthy. 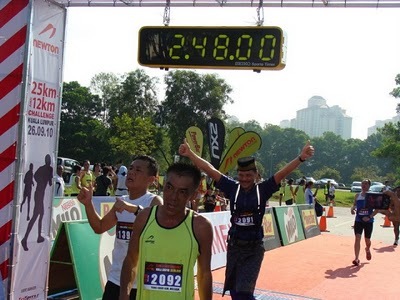 The event can be divided into four part - Marathon, Half Marathon, Mini Marathon and Fun Run. 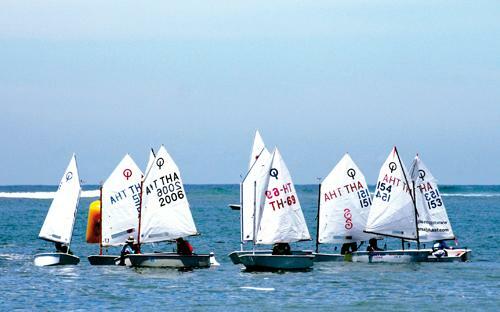 The racing course is along the Songkhla beach with scenic scenery. 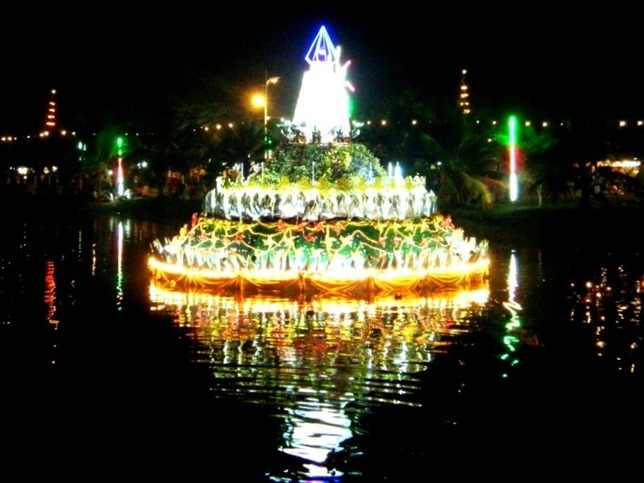 At Thailand in Chaiyaphum Province is place where "Dok Krachiao Blooming Festival" is celebrate from 1st June 2013 to 31 August 2013. 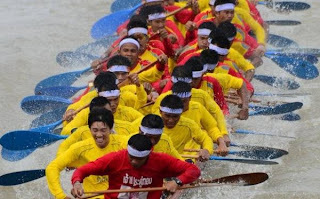 It is an important cultural tradition in Thailand. The Dok Krachiao Blooming Festival is celebrates the blossoming of the Siam Tulip. 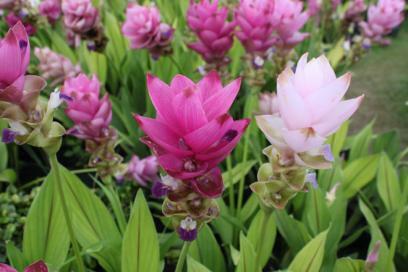 Siam Tulip is have great significance to the Thai people. 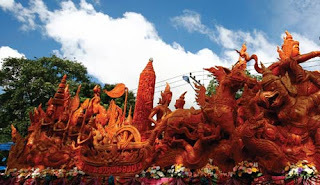 Dok Krachiao Blooming Festival symbolize of the hope and endurance of the human spirit. Beautiful rock gardens and forest of over a million years old. 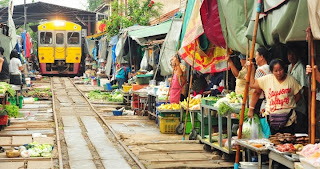 Many shops here sells Chaiyaphum’s products. Beautiful white, green and pinkish–purple Dok Krachiao fields at Namtok Sai Thong. 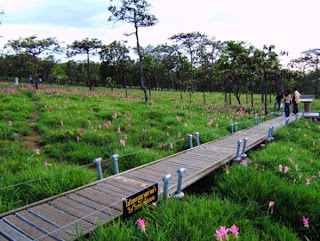 Sustainable Tourism at Chaiyaphum Province. Full moon party at Thailand are very special for party lovers. 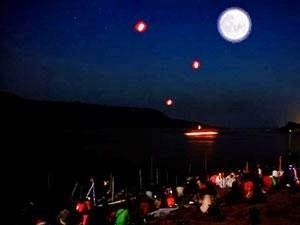 On this occasion of people gather at beach side on Fullmoon night, a trend started by few people to enjoy twilight. 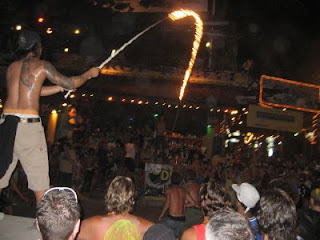 This trend now continue as is known as Fullmoon Party. It is celebrated at beaches in Phukhet and Pattya. World renowned DJs play musics all night long and along with Fireworks show, the party goes on till morning. 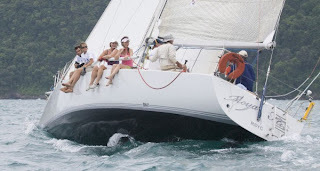 There are also many activities in which people can indulge while have a great night. 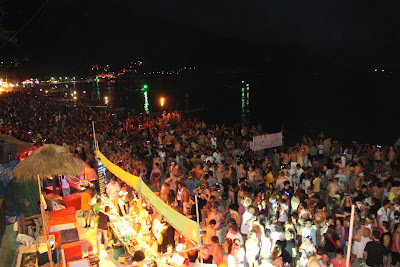 For Fullmoon Party Dates click here. 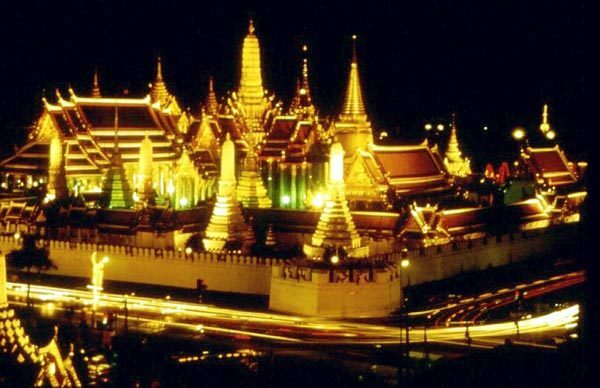 Bangkok has changed the definition of tourism in South East Asia with its dashing success in attracting tourists from many corners of the world. 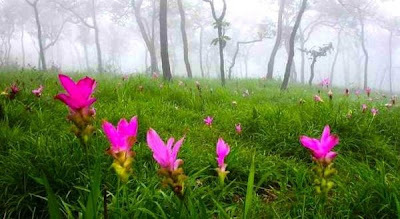 The achievement of this country in becoming a tourist hub, which was once only a small trading center, really deserves to be noticed for its great success. 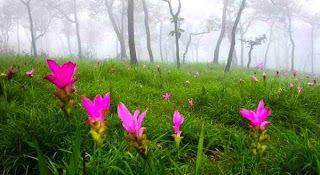 The capitals attractions are not only limited to nightlife, special Thai massage and the evergreen beaches but has many other things to its credits, which are not highlighted but are worth visiting. 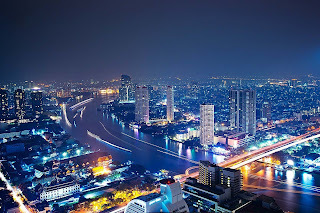 An excellent experience of luxurious stay in Bangkok can be tried at one of the Thailand condos. 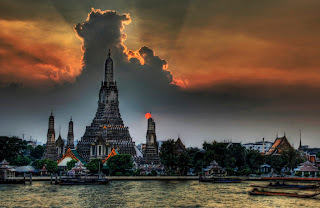 One such place is the Rattanakosin Island in Phra Nakhon District one of the fifty districts of Bangkok. 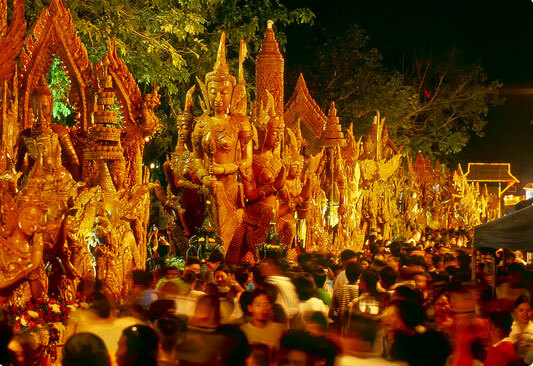 This island which is popular as historic center of the region conceives in it great historical landmarks like City pillar shrine and Grand Palace. 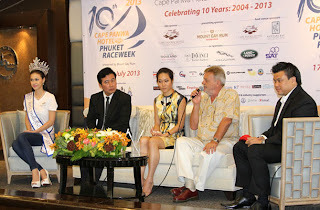 This is the spot where other historical marvels of Thailand and ancient temples can be visited. Dusit Palace in the neighboring district with buildings including Ananta Samakhom throne hall, royal plaza and Ratchnamnoen Avenue offer a clear picture of the art and architecture which was influenced by the neoclassical European architecture style. Apartments in Bangkok are provided on rent at many places of tourist interest. The Bangkok apartment rent is competitive and affordable. 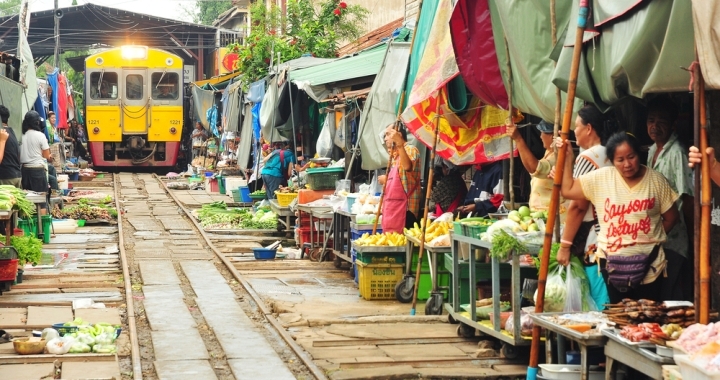 These Thailand apartment rents are the cheapest compared to the rents in other countries. Even you can prepare your own meals in the kitchen, if you are willing to minimize the overall costs. There are many service apartment providers in the city, so you can take advantage and select best apartment in Bangkok at competitive rates. 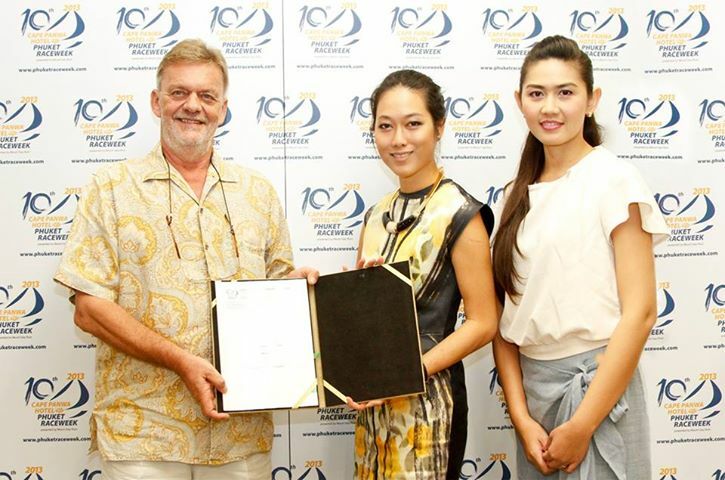 Condominium at Bangkok offers the privileges of an apartment along with extra privacy. 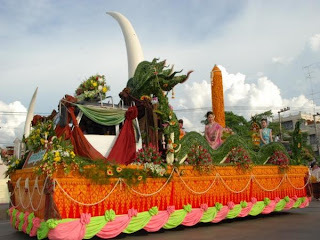 For more festival detail click here. Racing for all classes will be held in the waters around southern Phuket. 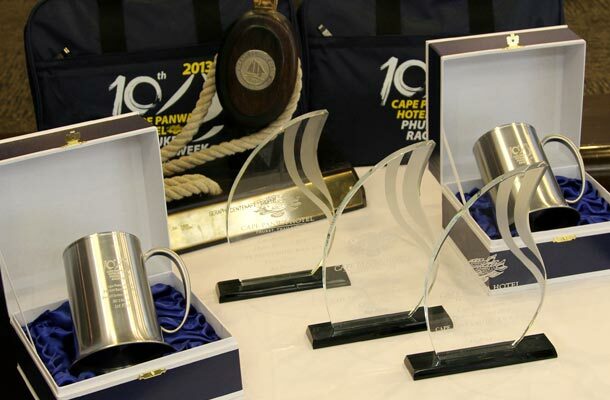 Daily prize giving & party. 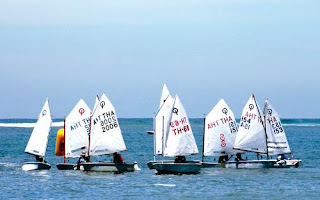 18.30 Overall Regatta Prizes Ceremony and full buffet Closing Party. You can find details instruction by clicking here. 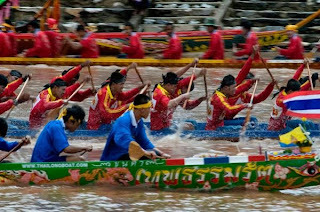 United 21 Thailand All Bests to all its competitors.